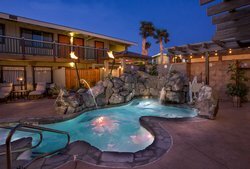 From all the little touches to unique services offered only at our Eureka hotel, Best Western Plus Humboldt Bay Inn’s amenities are designed to maximize comfort and convenience. 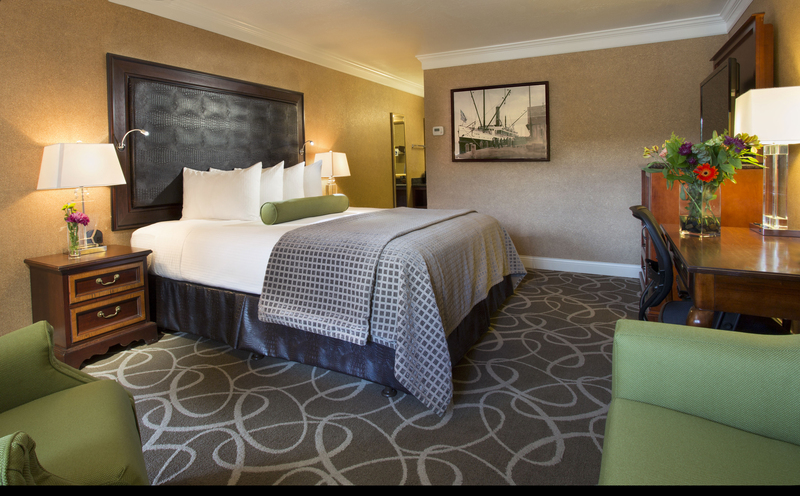 With well-appointed facilities and thoughtful service from our friendly staff, you can rest assured knowing you’ll enjoy an elevated stay in Humboldt County. After a wonderful night’s sleep in your comfortable hotel room, start your day off the right way with a free deluxe continental breakfast! 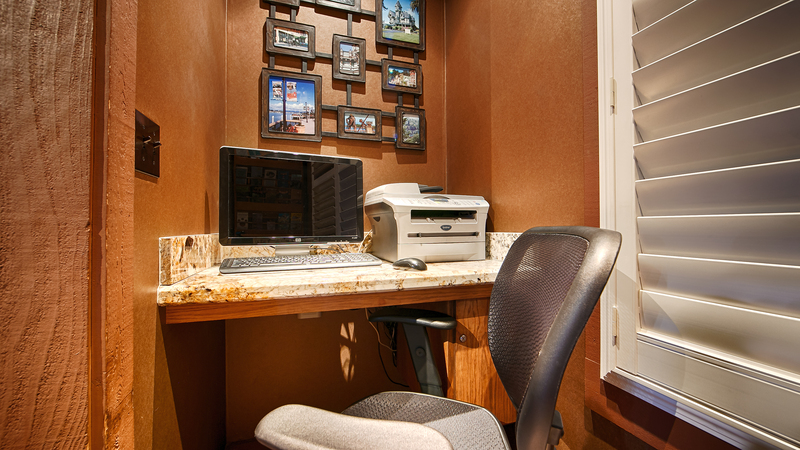 Stay connected to work or home with our lightning-fast Fiber Optic Wi-Fi and on-site Business Center, and take advantage of our year-round heated pool and fitness center. Looking for a bite to eat? Head on over to Kristina’s Restaurant, located just beside our hotel, or order room service for a tasty meal delivered right to your door! 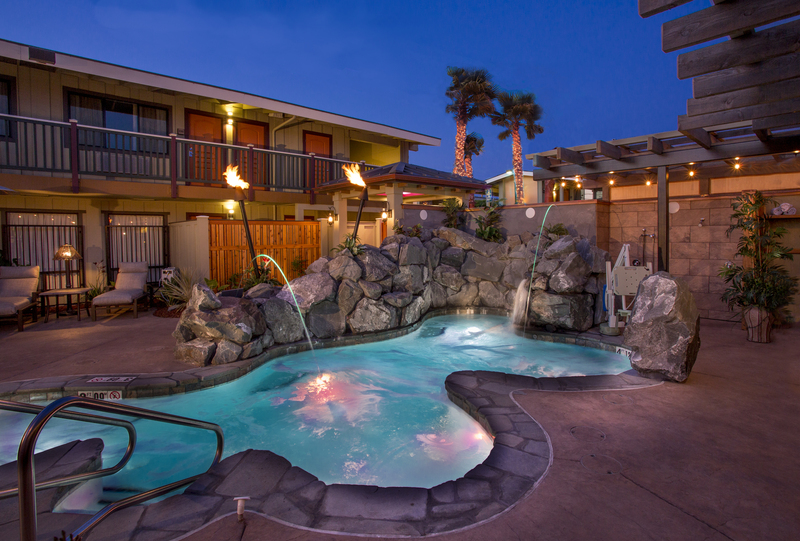 Experience unparalleled service while staying at Best Western Plus Humboldt Bay Inn. Stay productive using one of the 2 iPads available for guest check out in our Business Center. 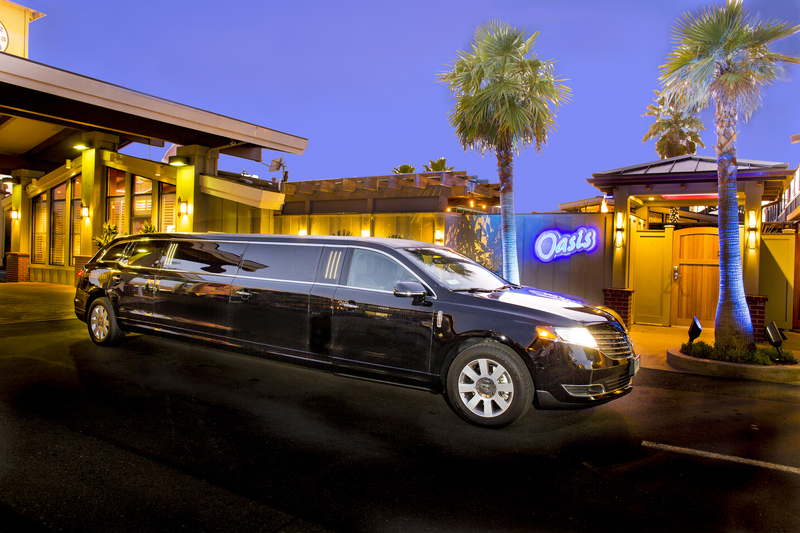 Arrive at your dinner plans at a local restaurant in style with our signature complimentary stretch limousine service. And after a busy day of work or play in Eureka, relax and unwind in our new outdoor Oasis Spa Area! Don’t miss the most important meal of the day! 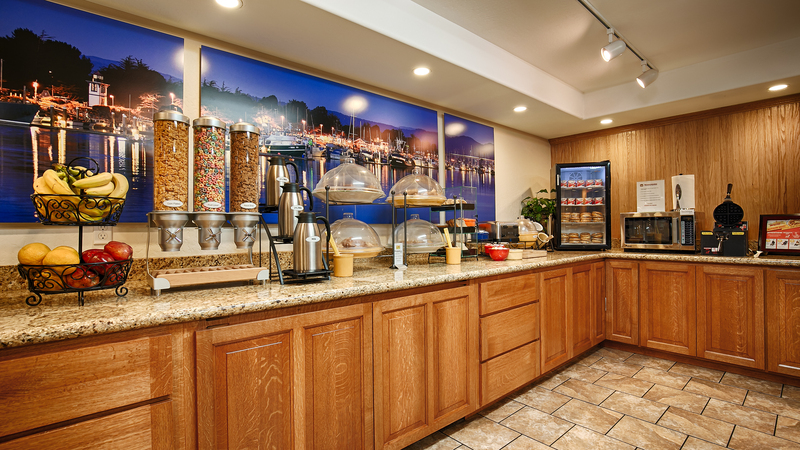 Our hotel offers a deluxe continental breakfast featuring all your morning favorites like hot oatmeal, waffle maker, cereals, yogurt, and fresh pastries from a local bakery. For something a little heartier, heat up a Jimmy Dean sandwich in our ovens! Transport yourself to a serene urban oasis while still enjoying the comforts of our hotel! Our new outdoor Oasis Spa Area is the perfect place to treat yourself to a memorable day or relaxing night with all your loved ones. Our tropical themed haven features tiki torches, special effects lighting, radiant heat lamps, and comfortable seating. Cozy up around the fireplace area with a glass overhang roof, take a dip in the year-round heated pool, or treat your muscles to a much-needed hot water spa with waterfalls and natural stones. Fancy a little recreation? We also have a billiards table for all guests to enjoy! 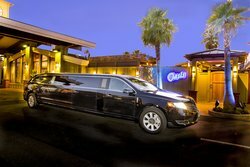 Pamper yourself with a night out on the town, enjoying a delectable meal at one of our favorite local restaurants and feel like a celebrity when you catch a ride with our complimentary stretch limousine service! Head on down to the lobby, or reserve the service by calling the front desk at 1-707-443-2234 or simply dialing “0” from your room, and enjoy an unforgettable ride in a black stretch limousine driven by your friendly and professional chauffeur, Selina! Once you’re finished your dinner, you can give Selina a quick call and she’ll be able to transport you back to your comfortable hotel room in no time. Learn more about Selina’s Chauffeur Services. You won’t have to fall behind your fitness routine while staying at Best Western Plus Humboldt Bay Inn. 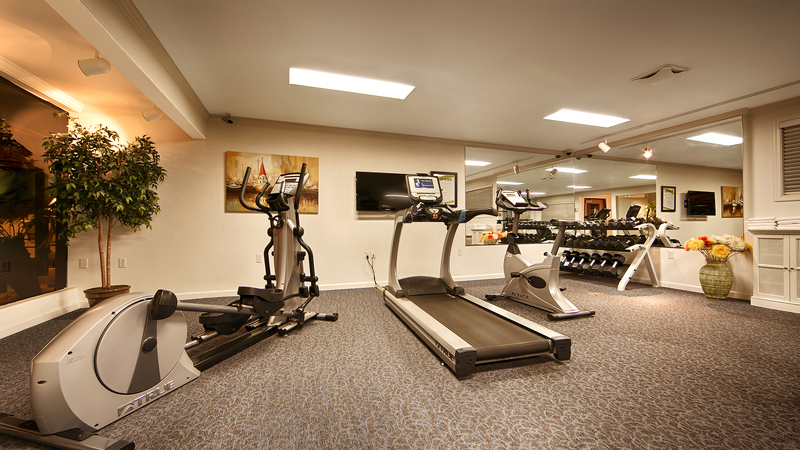 Stay on top of your workout and sweat all your stresses away in our onsite Fitness Center. Our facility features cardio machines, free weights, treadmill, bike, and elliptical. Need to work through the kinks in your muscles? Spend some time relaxing in our massage chair! As the county seat of Humboldt County, Eureka attracts an abundance of state government business. We also attract business travelers in town for local companies, such as contractors, and employees of Pacific Gas and Electric Company, pharmaceutical companies, and banks. Stay refreshed and clean during your whole stay in Humboldt County! Our hotel features coin laundry facilities and same day dry cleaning services.